Is your computer running slowly? Spyware or a virus could be to blame. Today's PC owner needs professional help against viruses and spyware. Spyware is software installed on your computer without your knowledge. It can end up there when you install other software, through email, or various other ways. Spyware is always running "behind the scenes," stealing your computer's power. Spyware can also generate pop-up windows, which also steal computer power as well as be very annoying! IDI can rid your system of spyware and bring it back up to its original processing speed. A virus is another program that can be placed on your computer without your knowledge. 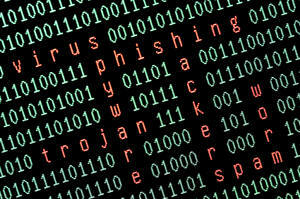 Many viruses are harmless, but some can do malicious damage, such as permanently deleting files from your hard drive. Viruses can also overtake your computer to email thousands of other computers, causing overload and crashing. They can also slow down your computer. Both spyware and viruses can cause your machine to crash for seemingly no reason. Many crashes reveal themselves via the "Blue Screen of Death" (BSoD) -- the informal name for a crash that causes your monitor to show only a blue screen with some text on it. That text describes, in computer language, why the system crashed. IDI can make sense of that BSoD and get you back up and running. Most importantly, we will install protection in your systems to dramatically reduce the risk of recurrence. See our complete list of Services for Home and Business Customers or contact us today.